As well as running a bi-lingual nursery and English courses, Il Nano Gigante (or "the Giant Gnome") has a 1600m2 indoor playground which is a great place to host your child's birthday party or simply to go and play. Children love the bouncy castles and play area complete with tubes and obstacles. 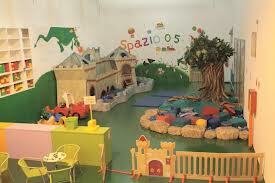 There is also an area for smaller children (0-5), which is complete with an Arabian castle full of plastic balls and a tree surrounded by crash mats the children can climb on. Il Nano Gigante can also organise themed parties for your children and supply refreshments, which makes parents' lives that little bit easier (see website for prices and details). The English courses are available for 3 to 16 year olds. Check out Il Nano Gigante website for further details. Il Nano Gigante also organises summer camps for children aged 4 to 12 years old. The children are taken to swimming pools and parks by qualified personnel as well as being entertained on Il Nano Gigante's premises.